Looking at today's slate of releases, we're tempted to declare this the worst week of the year for new movies. There's only one "big" film out today and the studio has so much contempt for the competition that they're not even bothering with press screenings -- at least they told us there weren't any. 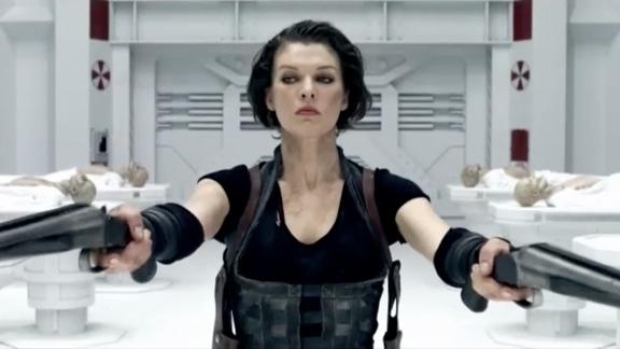 Milla Jovovich is back, with Wentworth Miller and Ali Laster in tow, for a fourth helping of zombie death mobs, with a trailer that offers all the requisite badassedness you've come to expect. "De Mai Tinh (Fool for Love)"
Director Galt Niederhoffer's adaptation of her own novel stars Katie Holmes, Josh Duhamel, Anna Paquin, Elijah Wood, Malin Akerman and Adam Brody as a group of friends who come together for a wedding that will test a number of marriages and friendships.